Talleres GARA S.A. is a machining enterprise that was born in 1986 in Ikastegieta (Gipuzkoa) thanks to the effort of its founder, Mr. Ignacio Zuveldia. 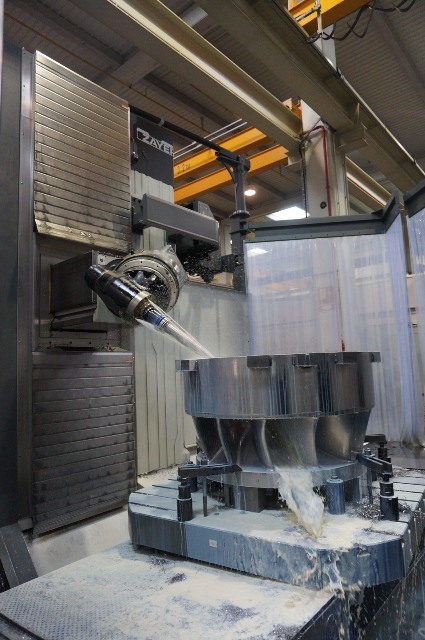 At that moment, GARA centered its aims in the searching of service and quality as its main activity has been always directed towards the development of machining systems of the latest technology, in demanding environments and offering innovative solutions. Nowadays, Talleres GARA S.A. is dedicated to the machining of all type of tools and materials, in series as well as in unitary works both at national and international level, with more than 100 customers as reference, among others Alstom, Ampo, CAF, Euskalforging, GH Grúas, Indar, Irizar, Jaure o Voith. Talleres GARA installations are totally adapted in order to realize the assembly of machining tools with all the required guaranties, using for it built installations of more than 4.000 m2. Inside its growth and consolidation strategy around its position as one of the biggest references at level of machining and mounting workshops, TALLERES GARA S.A. has relied in Zayer again with the acquisition of the bed type with rotary table machining center XIOS G model equipped with the 30º automatic head with continuous rotation (awarded at BIEMH 2014 fair – “Design and innovation in Machine Tool”). ▪ Rotatory table: 1.500 x 1.500 mm / Loading capacity: 7.000 kg / Rotation speed: 5 min-1. - In positioning and clamping (360.000 positions – 0,001º).